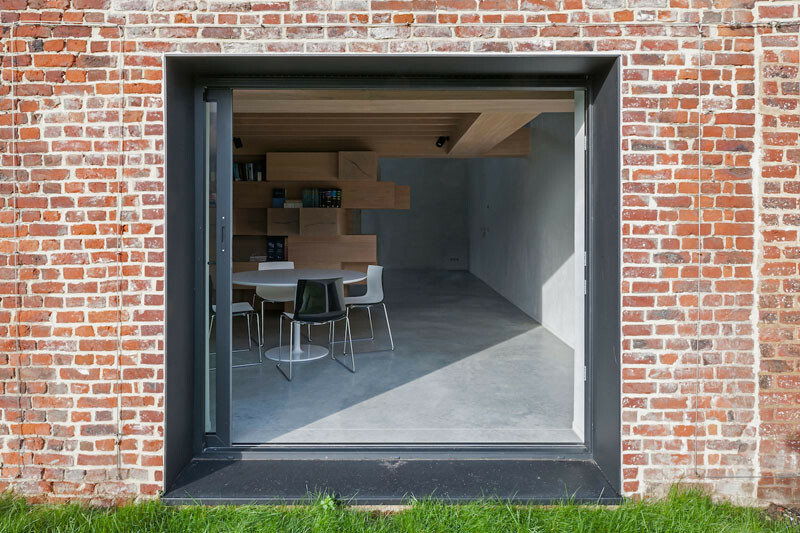 Studio Farris Architects have completed the transformation of a small barn into an office with a meeting room, library, workspace and a resting/reading area. 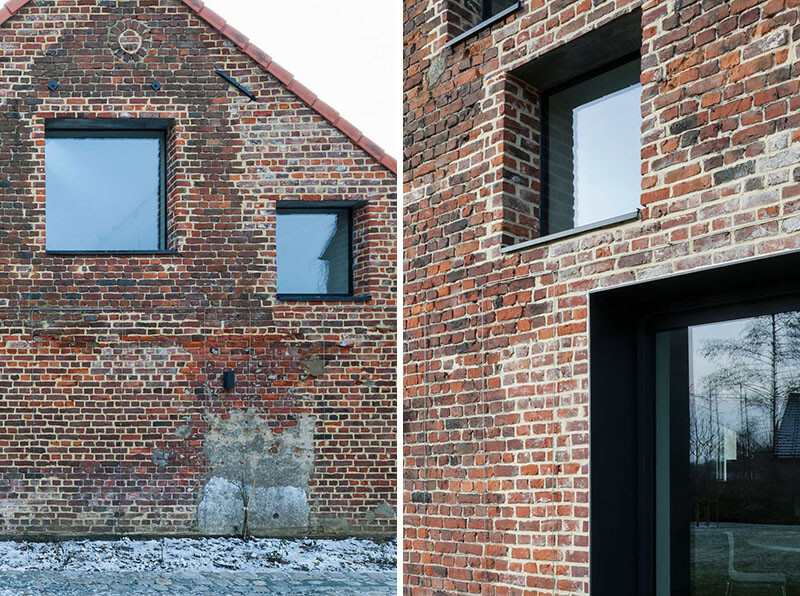 The barn, located in West Flanders, Belgium, was restored with new windows and doors added. 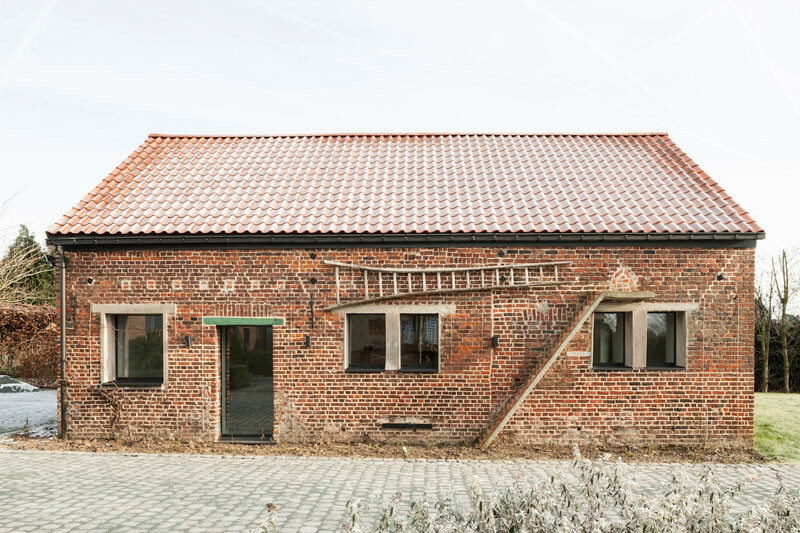 A new “box” was built inside the barn, to improve energy efficiency and avoid any chemical reactions with sulphates in the ground and walls of the original farm and barn. 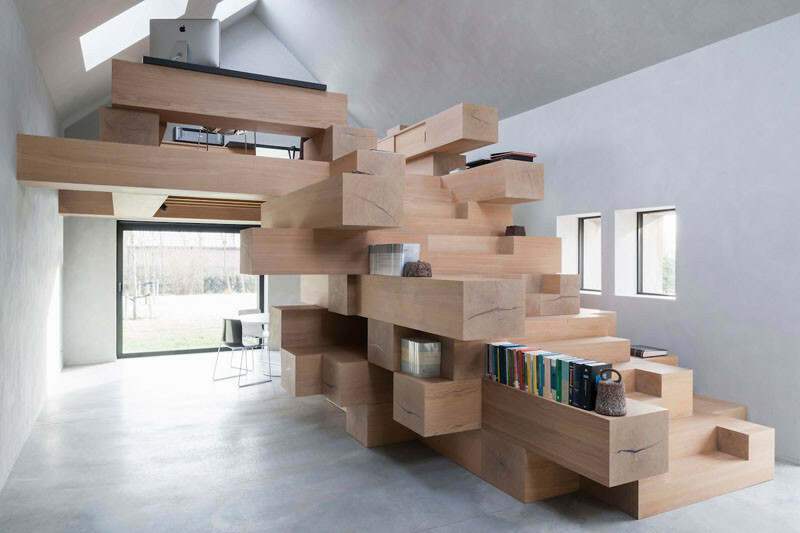 Another addition to the inside of the barn is a large object made up of stacked beams. 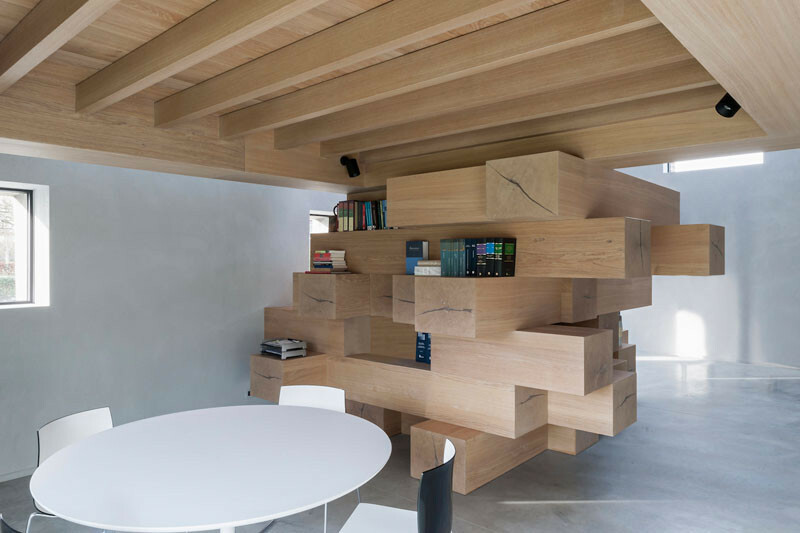 These stacked beams are designed to be the library, bookshelves, storage room, and resting / reading area. 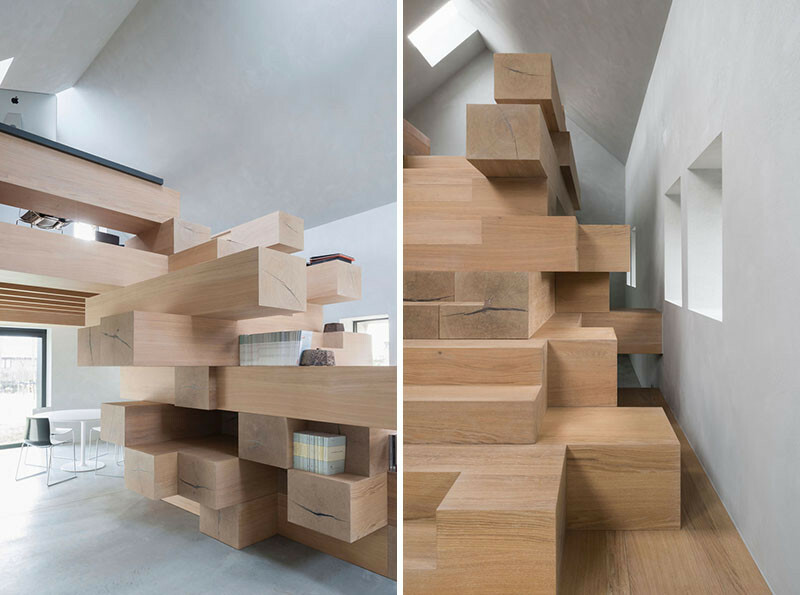 The way that the beams have been positioned allows them to become the stairs and support for the upper workspace. 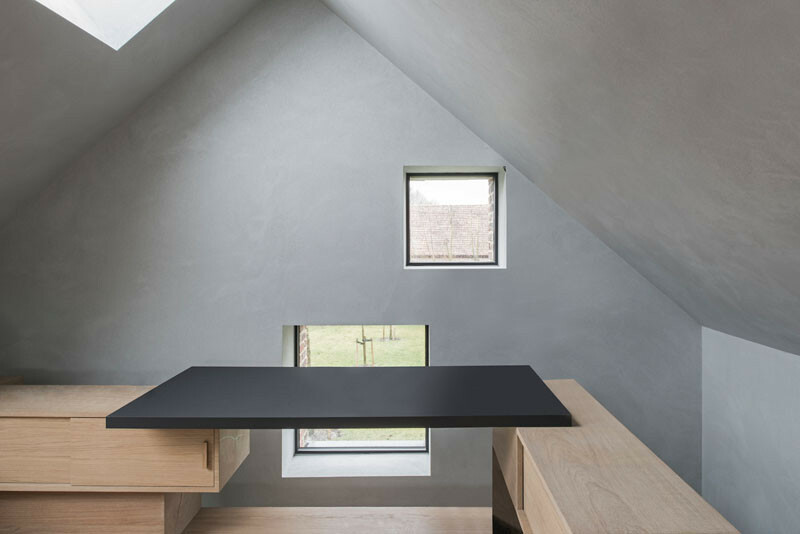 On the upper level, there is a desk with views of the surrounding area. 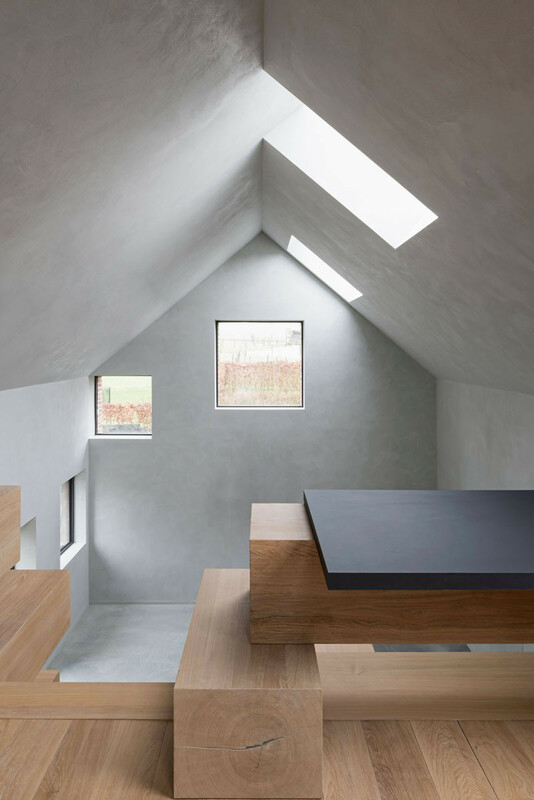 The barn is filled with natural light from the new skylights and windows.